Whether you're new to Currency Trading or a seasoned trader, you can always improve your trading skills. Education is fundamental to successful trading. Here are six steps that will help hone your Currency trading skills. Successful professional traders do three things that amateurs often forget. They plan a trading strategy, they follow the markets, and they diarize, track, and analyze each of their trades. You may have heard the adage, "if you fail to plan, you plan to fail." This is particularly true in Forex speculation. Successful traders start with a sound strategy and they stick to it at all times. 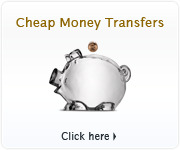 Choose the currency pairs that are right for you. Some currency pairs are volatile and move a lot intra-day. Some currency pairs are steady and make slow moves over longer time periods. Based on your risk parameters, decide which currency pairs are best suited to your trading strategy. Decide how long you plan to stay in a position. Based on your currency pair selection, plan how long you want to hold your positions: minutes, hours, or days. Remember that depending on your account type, having open positions at 5:00pm Eastern Time may incur rollover charges. Before you take a position you should establish your exit strategy. If the position is a winner, at what rate will you cash out? If the position is a loser, at what rate will you cut your losses? Then, place your stops and limits accordingly. Charts are an indispensable tool to improve trading returns. You can easily recoup the money spent on a charting package from a single well-placed trade based on the analysis from professional charts. 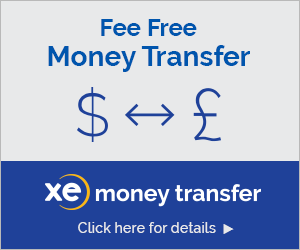 Check out XE Charts. Please keep in mind that forex trading involves a high risk of loss, and no guarantee is made that the investment on the charting applications will be recouped. 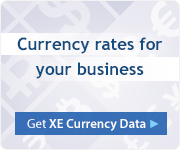 XE Market Analysis provides breaking currency news and in-depth analysis where the currency market is, where it's going, and why it's going there. You can access detailed market commentary and trading strategies from experienced Forex traders. The date and time you took the position. The rate at which you took the position. The reason you took the position. Your strategy for the position. The date and time you exited the position. The rate at which you exited the position. Your profit/loss on the position. Why you exited the position. Did you follow you strategy? In our experience, the most successful traders are not simply the ones who take the best positions. They are the ones that are smartest about risk management and disciplined in their strategy. They are never emotional about gains or losses. They set their profit target and loss limits for their positions, and use Limit Orders and Stop/Loss Orders to lock them in. A limit order instructs the system to automatically exit a position when your target profit has been achieved. This enables you to "lock in" your desired profit on a winning position. There are two basic approaches to analyzing the Forex market. It is important to understand how they can be used successfully. Technical Analysis focuses on the study of price movements, using historical currency data to try to predict the direction of future prices. The premise is that all available market information is already reflected in the price of any currency, and that all you need to do is study price movements to make informed trading decisions. The primary tools of Technical Analysis are charts. Charts are used to identify trends and patterns in an attempt to find profit opportunities. Those who follow this approach look for trending tendencies in the Forex markets, and say that the key to success is identifying such trends in their earliest stage of development. What should I use - Technical or Fundamental Analysis? Traders using Technical Analysis follow charts and trends, typically following a number currency pairs simultaneously. Traders using Fundamental Analysis must sort through a great deal of market data, and so typically focus on only a few currency pairs. For this reason, many traders prefer Technical Analysis. In addition, many traders choose Technical Analysis because they see strong trending tendencies in the Forex market. They look to master the fundamentals of Technical Analysis and apply them to numerous time frames and currency pairs. Technical Analysis uses charts to try to forecast future currency prices by studying past market movements. Using this technique, a trader has the ability to simultaneously monitor multiple currency pairs by evaluating how others are trading a particular currency. In our experience, because so many traders use technical analysis, and their reaction to market activity tends to be similar, the validity of this technique is strengthened. It becomes a self-fulfilling prophecy that feeds on itself, increasing the reliability of the signals generated from this analysis. Perhaps the most effective and therefore the most popular form of technical analyses is the use of "support" and "resistance". Support is the "floor" or lower boundary that a currency pair has trouble breaching. Resistance, on the other hand, is simply the opposite: it is the upper boundary that a currency pair has trouble penetrating. Support and Resistance are important in range bound markets because they indicate the boundaries where the market tends to change direction. When and if the market breaks through these boundaries, it is referred to as a "breakout" and is usually followed by increased market activity. Each currency has an overnight lending rate determined by that country's central bank. If inflation is deemed too high, a central bank may raise the interest rate to cool down the economy. Conversely, if economic activity is sluggish, a central bank may reduce interest rates to stimulate growth. Lower interest rates usually depreciate the value of a currency – in part, because it attracts carry-trades. A carry-trade is a strategy in which a trader sells a currency with a low interest rate and buys a currency with a high interest. In May of 2005, there was growing anticipation that France would vote against accepting the European Union Constitution. Since France was vital to Europe's economic health (and the value of the Euro), traders sold the Euro and bought the dollar; this pushed the Euro down so far that many traders thought it couldn't go any lower. Many traders take shopping more seriously than trading. Few people would spend $500 without carefully researching and examining a product. But many traders take positions that cost them well over $500 based on little more than a hunch. This cannot be stressed enough. Most traders fail because they lack discipline. Be sure that you have a plan in place before you start to trade. Your analysis should include the potential downside as well as the expected upside. So for every position you take, you should place both a Limit Order and a Stop/Loss Order. For each trade, choose a profit target that will let you make good money on the position without being unachievable. Choose a loss limit that is large enough to accommodate normal market fluctuations, but smaller than your profit target. Lock these in using Limit Orders and Stop/Loss Orders. This simple concept is one of the most difficult to follow. Many traders abandon their predetermined plans on a whim, closing winning positions before their profit targets are reached because they grow nervous that the market will turn against them. But those same traders will hang on to losing positions well past their loss limits, hoping to somehow recover their losses. Sometimes traders see their loss limits hit a few times, only to see the market go back in their favor once they are out. This can lead to mistaken belief that this will always keep happening, and that loss limits are counterproductive. Nothing could be further from the truth! Stop/Loss Orders are there to limit your losses. No trader makes money on every trade. If you can get 5 trades out of 10 to be profitable, then you are doing well. How then do you make money with only half of your positions being winners? By setting smart trade limits. When you lose less on your losers than you make on your winners, you are profitable. People are emotional. It is easy to do objective analysis before taking a position. It is much harder when you've got money invested. Traders holding positions tend to analyze the market differently in the hope that it will move in a favorable direction, ignoring changing factors that may have turned against their original analysis. This is especially true when losses are being taken on a position. Traders tend to 'marry' a losing position, disregarding signs that point towards continued losses.